The Nokia E6 00 is a Symbian 3 device. Its release is a much awaited one in the market. No further features are released formally by the authorities. Public image is also not available .A few leaked images have proved to be fake ones. So what are out are just rumors. No one apart from the Nokia staff knows about the mobile phone clearly. 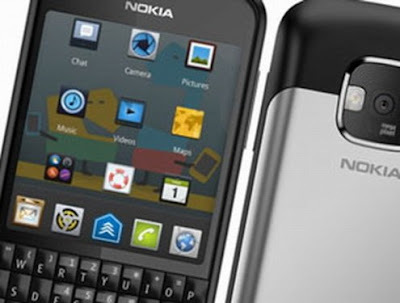 The Nokia E6-00 is expected to release during the Mobile World Conference which takes place during February this year. Mobile World Conference is an annual event and this year it takes place in Barcelona. At the same time there is no solid evidence to support the claim that it will be unveiled during the annual event. The price definitely is not announced .No one is taking a chance to speculate the price as no specification about the mobile phone is released formally so far. The Nokia E6-00 has 8 megapixel dual –LED assisted camera, which will surprisingly contain VGA with 326DPI display. A mobile phone providing 8 megapixel camera is very rare. A capacitive touch screen support. That will give 2.46”.This size is not sufficient enough for a capacitive screen. Thus the feature cannot be fully utilized. This is exactly like E71/72/Quest. It will be a full focus camera. Photos with excellent clarity are expected. It is expected to have Mozilla /5.0(Symbian/3; Series 60/5.2 Nokia E6-00/010.000). It also has an ARM processor. Rapayuma ARM11 700+MHz. Also it is expected to have BT 2.0, GPRS, EDGE, WCDMA, HSDPA, and WLAN. So it is a double thumb up for the connectivity and data side. It has Broadcom BCM2727. It is also sported with 256MB SDRAM and 1GB NAND Memory. The keyboard is expected to be QWERTY with two soft keys. There are concerns whether the keyboard will be too close to the screen. The Nokia E6-00is not expected to be very tall and thick like the other in the E series. Stereo Speakers will be present. The Nokia E6-00 will look much bigger than some other phones. Nokia has also announced another smartphone Nokia X7-00 which will be released in the US via AT&T. Its release can also be expected during the same time that of E6-00. People as far as now are waiting for the first touch screen in E series by Nokia. But everything mentioned here are speculations about the most awaited phone of the year. Features are expected to be more or less similar to the speculated ones.